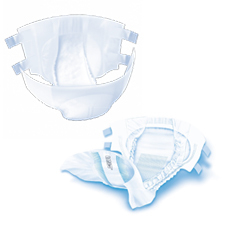 Adult nappies are often necessary for individuals who suffer from heavy or double incontinence. They allow skin to breathe whilst offering superior levels of absorbency. They also neutralise odours ensuring the wearer is confident and comfortable. Many feature adjustable tapes and wetness indicators making managing incontinence easier.